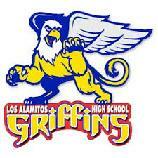 Sleeping Room Reservations: Hampton Inn Long Beach or 562-425-0012 and mention Los Alamitos 20 Year High School Reunion. Space is limited, offer expires 6/20/19. To make your music requests for the reunion Click here before 6/20/19.